Managing an expansive inventory on-site poses a variety of risks and liabilities, and consumes valuable space within your facility. Global Precision Parts, Inc. offers a variety of solutions to help you efficiently, and cost-effectively manage your inventory. We work closely with customers to identify inventory solutions that are best suited for our customers. We manage every aspect, so that our customers can focus on other key aspects of their business. Global Precision Parts, Inc. can automate the entire consignment inventory process, providing you with complete visibility of your inventory outside of your facility, while significantly reducing the cost and risks. Utilizing our consignment inventory program eliminates time consuming reconciliations, improves product visibility and allows you to maintain and promote an expansive inventory without the risk and cost associated with keeping a large on-site inventory. 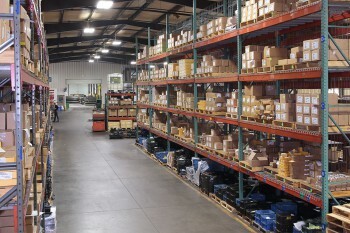 Global Precision Parts, Inc. provides Vendor Managed Inventory (VMI) services to streamline the order fulfillment process and effectively manage inventory. Our goal is to make the ordering process as easy and cost-effective as possible. With VMI we collaborate with suppliers and distributors to optimize supply chain. Global Precision Parts, Inc. offers Kanban inventory scheduling system which provides our clients with the ability to maintain an inventory of necessary parts and components. Kanban is a lean process that keeps inventory levels low, and signals for reordering when necessary. Contact us to see how we can provide solutions to help increase inventory turns and improve profitability, or request a quote!